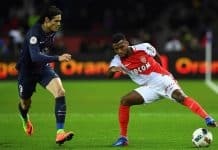 Home Sport News Football Could Joachim Low be the right man for Arsenal? With the loss of Oxlade-Chamberlain in the summer and Olivier Giroud and Sanchez in the transfer window, Arsene Wenger has been helpless to hang onto his key players over the past 12 months. With rumours of Jack Wilshire being the latest player linked with a moved to Italian giants Juventus, Arsenal fans must be holding their head in their hands hoping for a dismal season to end. 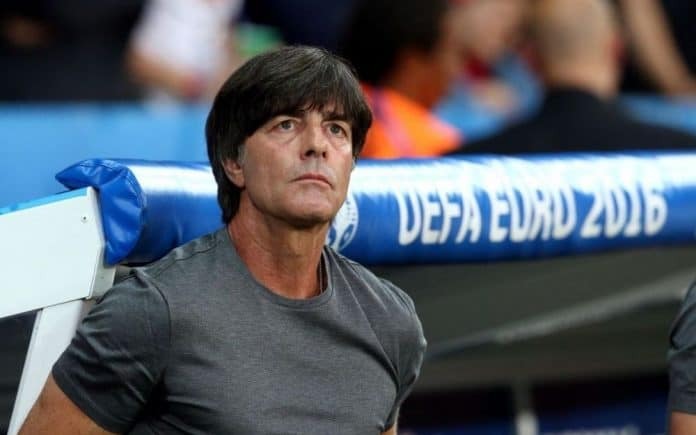 But there’s rumours in the Arsenal board that the German national team manager Joachim Low could be on the short-list to succeed Arsene Wenger as Arsenal manager. There’s no doubting Low’s credentials who is currently the reigning World Cup winner with Germany. Low has reinvented the German national team, shifting from a slow-paced mechanical movement to a more fluid yet ruthless way to dominate the sport for almost a decade. But the German has been out of managing a domestic side for 14 years and as any manager will tell you, there’s a world of difference between coaching a national team and coaching a league team. One player who would welcome the arrival of Joachim Low would be Mesut Ozil who has been frustrating to watch from a fans prospective. Ozil on his day shows incredible vision with his passing and sublime movement on the ball. But Wenger just can’t seem to get the best out of the player. In contrast Low knows how to get the best out of Ozil and understands his strengths and weaknesses and positions the midfielder accordingly to compensate for both attributes. Ozil has worked with Low for for many years with the German national team. While Ozil decided to agree terms with a new 3-year contract with Arsenal, his reasons to stay have not been clear and there’s still speculation that the German may still move in the summer. 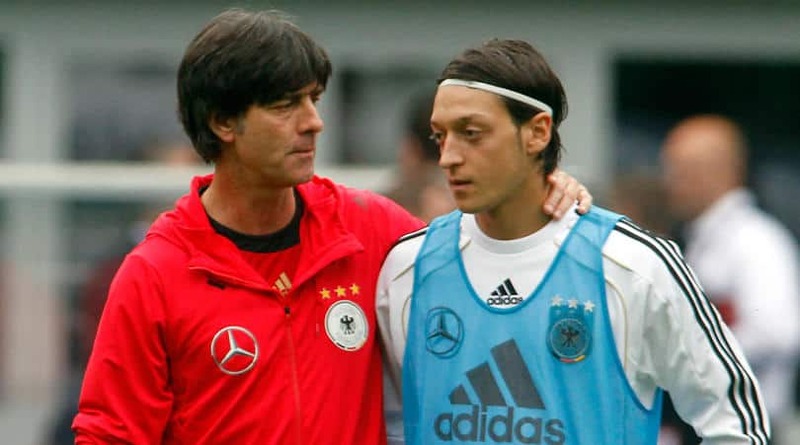 Could Joachim Low’s appointment persuade the talented Ozil to stay at Arsenal? 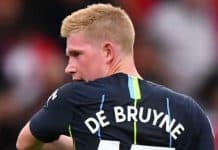 I believe he would certainly give it another season if there’s a new manager in place, if Wenger was around for another season he may move elsewhere. The game has moved on significantly during the years Low has managed at international level and it requires a manager of strong character to handle the temperament and tantrums that go along with the demands from multi-million pound players. He may have the managerial tactics and player development skill’s but he may lack the character to change the culture within Arsenal such as Diego Simeone and Carlo Ancelotti who have a proven track record at huge clubs and know the man-management required. I’m not convinced Joachim Low is the best fit for Arsenal and it would be more of a gamble if the board decided to appoint the German. With that said given Arsenal’s current and long term position it may take a brave appointment to turn things around.